Our accomplished and experienced building contractors will advise you on the available Loft conversion options that best suit your needs and space available. We will also advise you how long it will take for the conversion to be completed. Loft conversions in Edinburgh has always been hindered with building control and planning constraints. We are experts in legislative matters and can get you the biggest conversion legally possible. There are regulations that govern loft conversions and we are well informed of them. We can also do maintenance and repairs. 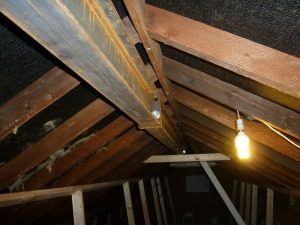 Damage in your loft? why not give us a call? We offer maintenance, upgrades and repairs. Want to keep your loft warm and reduce the cold, we have the expertise; we insulate it to give you the necessary warmth and make it comfortable and keep your energy bills down. More and more people in Edinburgh and Midlothian opt to do a loft conversion these days, it’s a great way to create more usable space. Your loft conversion will be unique and fashionable. An extra motivation for a loft conversion is to make it a good usable living space for less than the cost of buying a bigger house. 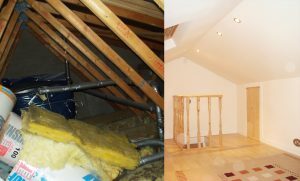 Contacting us is the best decision for you to progress an attic conversion. We have converted Lofts in Edinburgh and Dalkeith and if you want to convert that loft space to an office or the gym in your property in Edinburgh or Dalkeith, do not hesitate to get in touch with us. 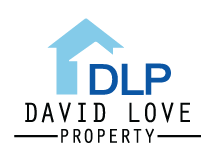 David Love Property can do all work related to loft conversions, we have done this before and we are still doing projects like this in the area. We have lots of plans, ideas and experience. This will help guide you into making a good decision, whether you want to convert your loft space to a library, a den, an extra bedroom or an office. However, there are a few requirements that have to be met before starting to convert your loft into a more useful living space. However, we make it straightforward. We are an experienced loft conversion contractor, we will help you get your drawings, building warrant and planning permission. Get in touch with us today for a free no obligation quote. Call our Edinburgh office on 0131 6549960.